Maneuverable and versatile, the last couple decades have seen skid steers become a fixture on most construction sites. With no sign of slowing down, manufacturers continue to develop new attachments and find new uses for skid steers on the job. Galaxy has been there since the beginning and continues to set the standard for skid steer tire performance by both updating our classic offerings and creating new tires and technologies to handle the growing list of tasks skid steers are expected to perform and conditions in which they are required to operate. It’s hard to believe that a simple piece of equipment designed by two brothers in Minnesota during the 1950s for cleaning manure out of turkey barns would revolutionize the construction industry. At the time, standard tractors were too heavy to operate on a second story and not maneuverable enough to clean in corners and around poles. Looking for a solution, a pioneer in the farming industry contacted two brothers with a knack for machinery, and who were also early developers of snowblowers. 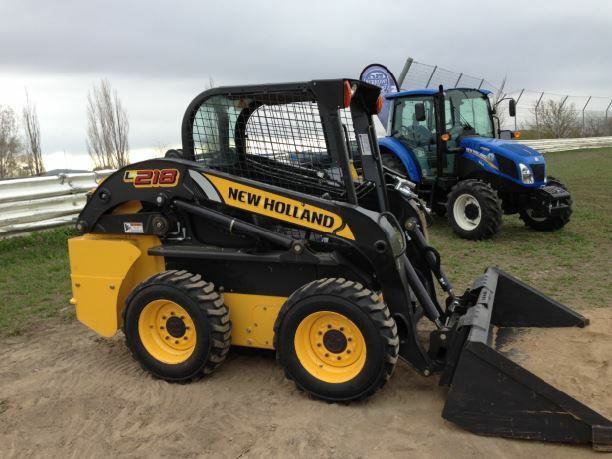 The pairing led to the development of the Keller Loader, and the beginning of the skid steer revolution. The Keller Loader has seen many changes (its name, for example, as we now commonly refer to it as a skid steer; new uses for the machine are also still being discovered). But the underlying traits of the original machine, namely its compactness and maneuverability, continue to drive the skid steer to the forefront of the construction industry. In fact, those traits may be more relevant today than they were at the time of the skid steer’s conception. The compact nature of the skid steer lends itself to operating in busy urban centers and construction sites, while providing construction companies with a cost-efficient alternative to heavy equipment or an option when the site won’t accommodate larger machinery. The skid steer has also helped reduce the need for manual labor—a trait that becomes more crucial as wages continue to climb and finding qualified employees continues to be a struggle for the industry as a whole. Recognizing the value of skid steers and their inevitable rise to prominence in the construction industry, Galaxy developed the first tire specifically designed for the skid steer market. With a beefier and longer-lasting construction than its competitors at the time, the Beefy Baby was born—and with it, Galaxy’s reputation as an industry leader in skid steer tires. You can still find the Beefy Baby in the Galaxy line up; now in its third generation, the Beefy Baby III delivers the same durability and low cost per hour that launched the original to prominence, with a host of innovations that help make it our best version yet. As the industry continues to develop new applications for skid steers, subjecting them to different environments, terrain, and stresses, Galaxy continues to engineer and produce tires to handle their needs. Whether it’s tires like the Galaxy Hulk (which excels at rock, salvage, and concrete work), the Galaxy Marathoner (which is acclaimed for its roadability), or the Galaxy Muddy Buddy (which is, as the name implies, built to handle the slickest, slushiest, and muddiest of construction sites), Galaxy is committed to building tires that meet the needs of your equipment, and is looking forward to the next great skid steer evolution. When it happens, Galaxy will have a tire for it waiting, and you can rest assured that the tire will be built on the tenets that have made Galaxy great—durability, long life, high performance, and a low total cost of ownership (TCO).